Who doesn’t love the humble yet ever versatile British pea? There are regular peas, but then there are ‘posh peas’ and the two can’t ever be compared. The princess wouldn’t waste ours under her mattress! We’ve taken this popular side to a whole new level. 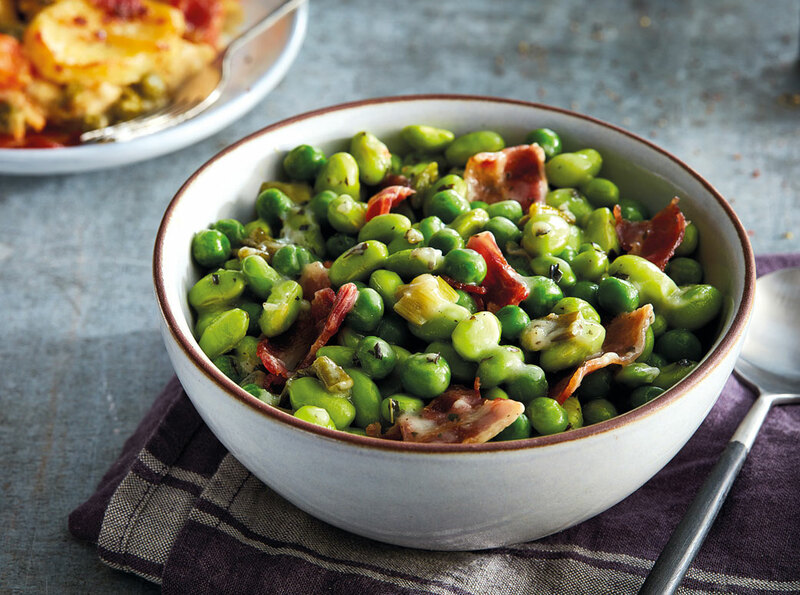 Our Posh Peas are covered in a light sauce of crème fraiche and garden mint, then loaded with crisp, streaky bacon. We won’t judge you if you pass these off as homemade at a dinner party, your guests will definitely be returning for more….enjoy! Peas (31%), Edamame Soya Beans (31%), Water, Cooked Smoked Streaky Bacon (6%) [Pork Belly, Salt, Antioxidant (Sodium Ascorbate),Preservative (Sodium Nitrite)], Creme Fraiche (2%) [Cream (Milk), Modified Starch, Thickener (Guar Gum), Lactic Acid, Preservative (Potassium Sorbate)], Spring Onions (2%), Modified Maize Starch, Unsalted Butter (Milk), Vegetable Stock [Dried Vegetables (Onion, Leek), Salt, Sugar, Sunflower Oil, Turmeric, Black Pepper], Mint, Demerara Sugar, Salt, White Pepper. ALLERGY ADVICE: For allergens see ingredients in bold. May also contain nuts. Lovely – had these with peppercorn steak during holiday stay in wales and now looking to find them local!